A new weekly club at Stafford Library is supporting unemployed residents across Stafford to gain new skills, reduce isolation and boost their confidence. • The Northfield Centre, Wednesday mornings, 10am to 12pm. 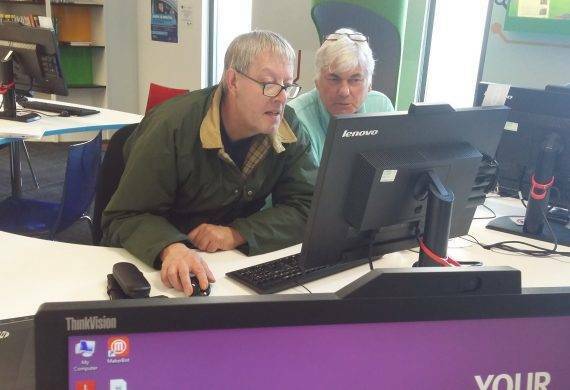 The five, weekly drop in sessions in Stafford are run by Support Staffordshire as part of the Building Better Opportunities Stafford & South Staffordshire programme. This project is funded by the European Social Fund and The National Lottery Community Fund. The programme supports those living in Stafford who are currently unemployed or not working. Participants of the programme can access free advice and support including; IT courses, careers guidance and access to training and volunteering. To find out more about the Stafford Work Clubs, or find out how you or your business could get involved, contact Rob Arnold on 07792 241 008 or complete the green form at the bottom of this page.